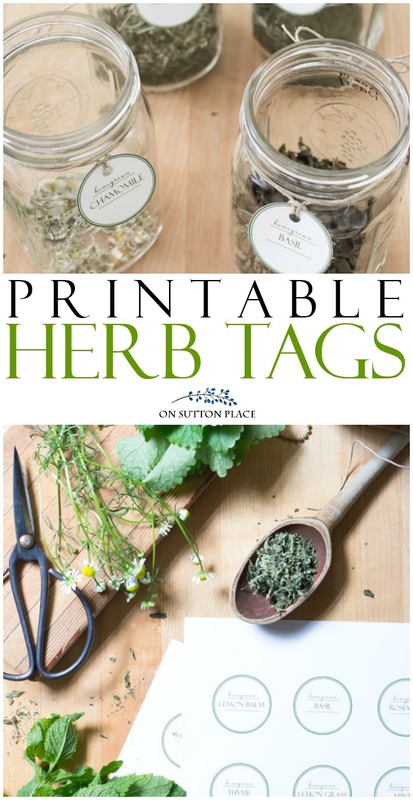 Make storing dried herbs easy and pretty with these printable herb tags. 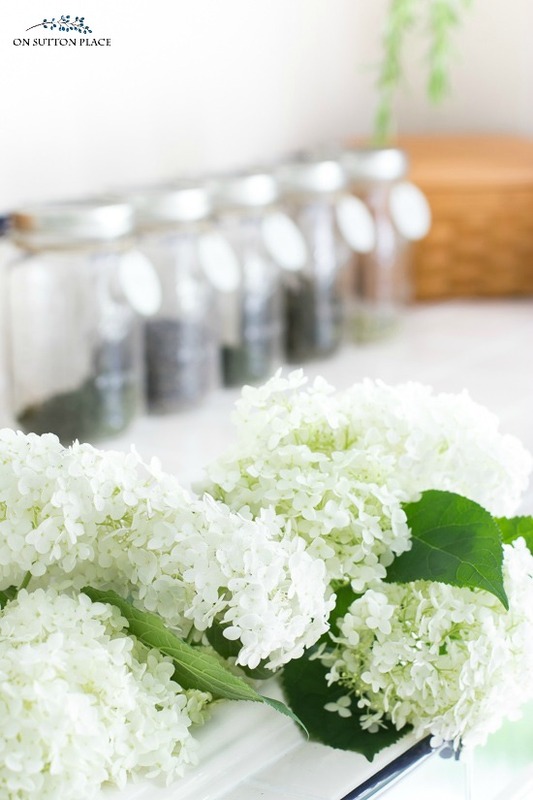 A simple, DIY project that will look great in your kitchen and is perfect for gift-giving. Welcome to our last Seasonal Simplicity post for this summer…and like I said to my email subscribers, I think we’ve saved the best for last! I’m one of nineteen bloggers sharing a summer printable so there is definitely something for everyone. If you are visiting from one of the other blogs on the tour, I’m so glad you are here. If you are one of my regular readers, thank you so much for stopping by! Store dried herbs in an airtight container. Good choices are canning jars or metal tins with a screw top lid. It’s best to store herbs in their whole form instead of crushing them. I’m using the mint almost as fast as I can dry it, so I’m crushing it as I go. I’m trying to keep the basil and lemon balm whole. 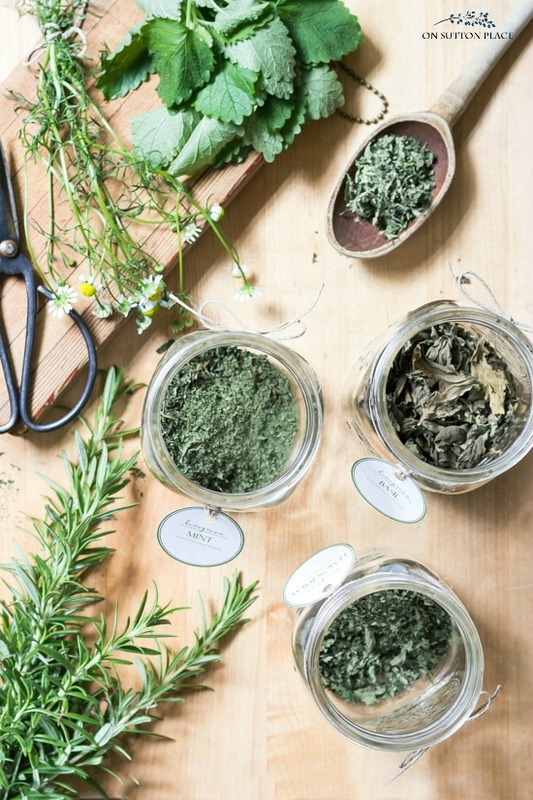 The benefits to storing dried herbs in their whole form are 1.) they stay more potent and 2.) they stay fresh for a longer period of time. 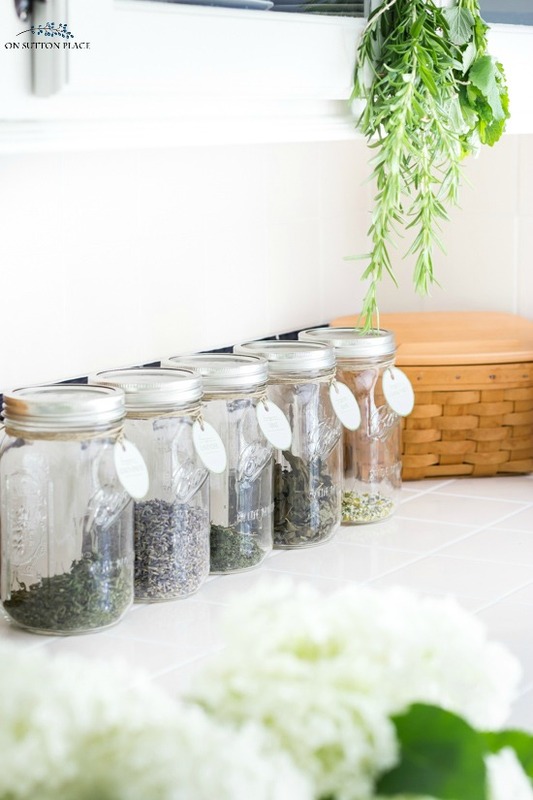 The rule of thumb for storing dried herbs is to keep them no more than one year. Mark the date on the back of the tag when you have filled a full jar. I placed my jars of herbs in the spot where I had my kitchen herb garden in the spring. Those herbs have been moved outside, so I had an empty space. I love the way they look, all lined up with matching tags. My one and only Annabelle hydrangea is blooming like crazy so I thought I would add them to the pictures. Some years I get hardly any blooms at all but this is a good year! Click the image below to join us! So so lovely, Ann! Thank you for sharing this sweet idea:) And, thanks for joining in on this hop! Happy summer! I LOVE these!! I’ve never dried herbs before so I think I’ll have to give it a go now!! 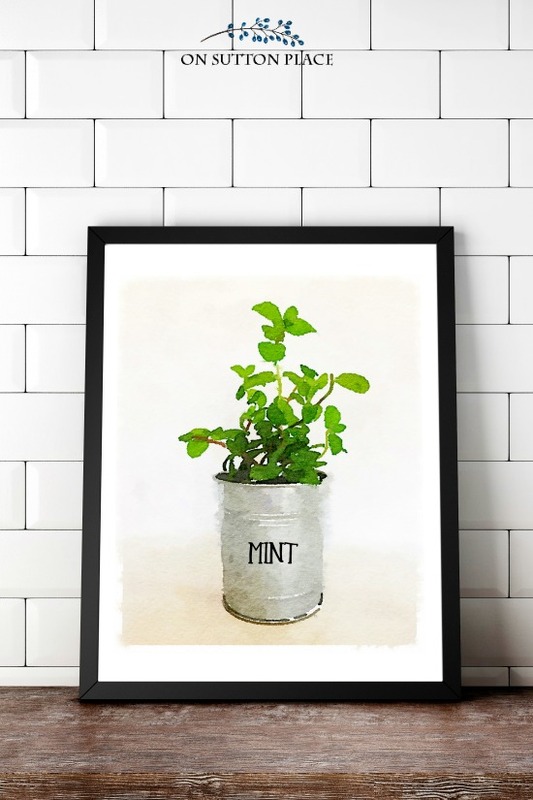 Whenever I see you have a new printable, I visit immediately to see your latest artistry. 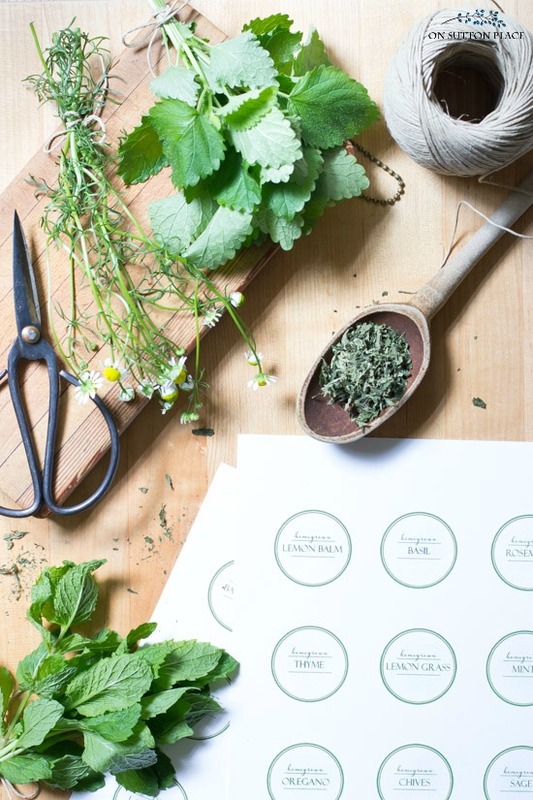 I love your herb labels… classic, timeless, beautiful. Of course, I am all about the form and flavor of my herbs. You have given me a new idea for my annual Thanksgiving Baskets. I will include a small print with each basket…..maybe two! Thanks again. 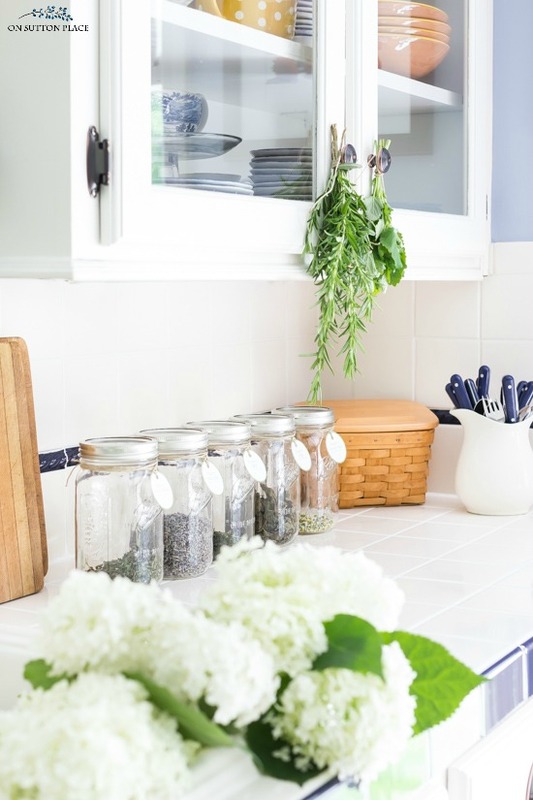 Beautiful prints and the mason jars are a lovely addition to your kitchen. These are beautiful, Ann! Thank you so much for sharing!